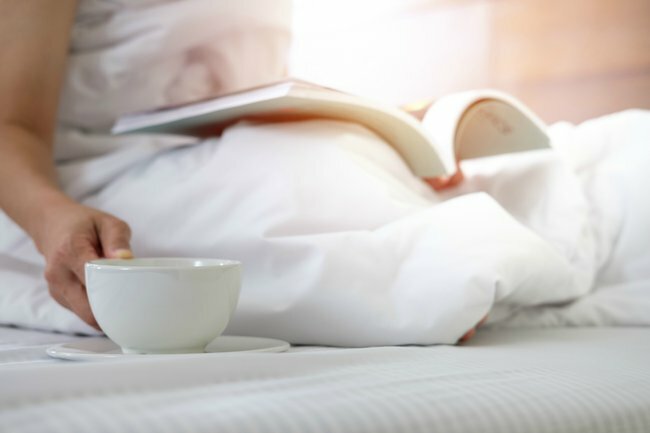 How my reading habit completely revamped my night-time routine. When you’re in high school, your parents ensure you create healthy habits. Whether it be encouraging regular exercise and healthy eating, or putting time aside for a hobby, your ‘rents have your best interests at heart. You don’t have to look after yourself, because they are. Then you leave home. And those habits… fade. Every night in primary and high school, I made a habit of reading before bed. It was a habit encouraged by my parents in primary school, and that I naturally continued given there was an allocated “reading time” before bed at boarding school. There was fifteen minutes between having our phones taken off us and the lights being turned off that was dedicated to reading. Without many other options, reading became essential, and it’s a habit I grew to love. Not only did it make my life easier having a dedicated time to read my books for English, but it became a treasured time to wind down before I went to sleep. I kept it up throughout the HSC but once I finished, I discovered the freedom of a freshly 18 year old and the habit… waned. I recently made a comment to my mum that I was still reading the same book I’d bought when I was with her in July. Shocked and offended, she asked me how long it took me to read a book these days. That’s when I realised, I needed to bring back my reading routine. And I’ve never felt better. Climbing into bed with a book is deeply relaxing. Not only am I forced to stay off my phone (which also means I sleep better), but taking my mind off daily worries to devour a book is surprisingly therapeutic. It allows my mind to wind down from the day, and slows me down completely before hitting the pillow. It’s the easiest, cheapest, most rewarding way to get out of your own head and into someone else’s. Hopefully I’ll be getting through a few more books now.